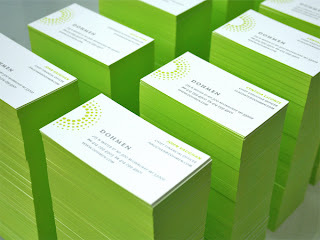 Letterpress Business Cards – My New Obsession! Awesome look and very unique having the edges colored. More on letterpress business cards later. Check back. 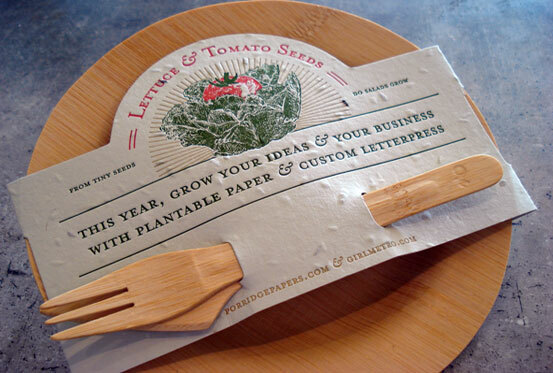 Love, love this idea from Porridge Papers and their sister company Plantable Seed Paper for letterpress paper. It actually has seeds embedded in it. I think it would be an awesome way to promote being green. Use this for an outdoor wedding invitation, baby announcement or even business cards. When the person has the information they need from the card the recycle it by planting it in the ground and it grows a variety of vegetables or flowers! You pick the seed mix you want! The logo was designed with 4 plates to represent the 4 co-founders and the fact that it’s for a dinner club to raise money for worthy organizations locally and around the world. The logo is bright, simple and conveys the central theme of the organization. 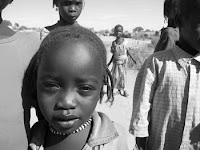 Between May 23 and June 8, 2008, Gitana Productions, one of my clients, will present nine performances of Complacency of Silence: Darfur, a full-length original play created using documented and conducted interviews. The production will use music, dance and drama to explore the humanitarian crisis in the Darfur region of western Sudan. The crisis is one of the worst human rights and humanitarian crises of our time. The UN estimates that since 2003, more than 400,000 men, women and children have died as a result of the conflict and over 2 million of the region’s 7 million citizens have been displaced. Since many of the displaced are farmers they can no longer feed their families. Most of the victims are women and children. Complacency of Silence: Darfur will not only put a human face to this modern day genocide, but will also explore the deeper issue of why we commit, tolerate and ignore atrocities, particularly in Africa.